STARRING Christian Slater, Neve Campbell, Miranda Richardson, Harry Enfield, Anthony Sher, Leslie Phillips, Mackenzie Crook, Vic Reeves, Steve Pemberton, Bob Mortimer. 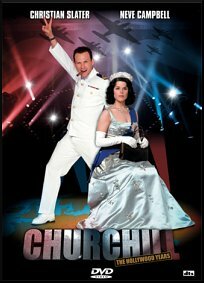 SYNOPSIS A wartime spoof movie about Winston Churchill. It follows the adventures of a US soldier, who happens to have the same name as the famous British leader. 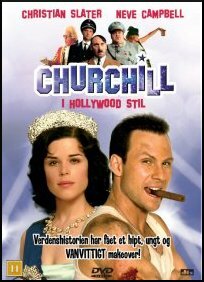 When a US movie group arrive in the UK to shoot a film about the great British wartime Prime Minister, they are surprised to discover Churchill is being played by a fat, unattractive man. Set on replacing him, they bring in their own actor, the name sake American GI, who is set on freeing the world from the Nazis. 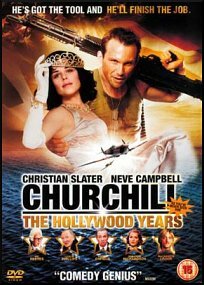 Based on the Comic Strip, Churchill the Hollywood Years by Peter Richardson.